The City is in the process of drafting an Area Structure Plan (ASP) for the Ricardo Ranch community. The Ricardo Ranch ASP will provide a vision for the future development of 570 hectares (1,410 acres) of land located within the southeast sector of the city. 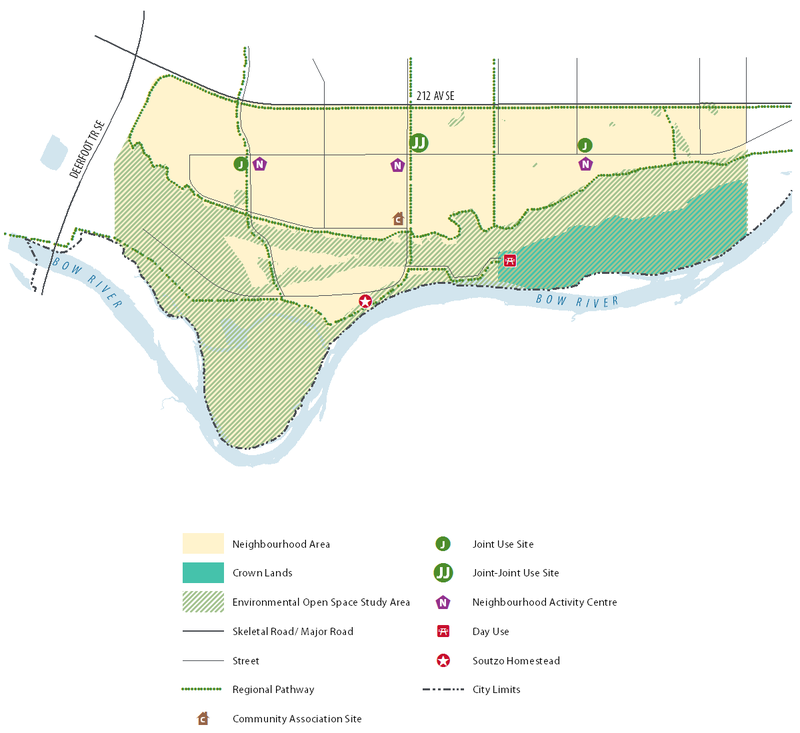 The plan area is bounded by the undeveloped community of Rangeview to the north, by unplanned and undeveloped lands to the east, by the Bow River to the south, and by the community of Cranston to the west. 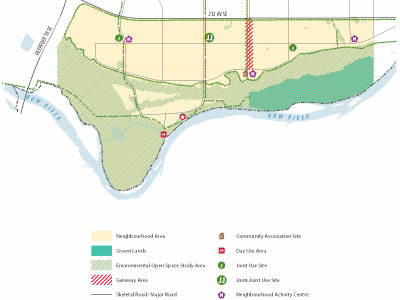 The plan area is a joint planning area between The City and the Municipal District of Foothills, and will follow the processes outlined in the Intermunicipal Development Plan for the Municipal District of Foothills and The City of Calgary. The northern portion of the Ricardo Ranch ASP area is a plain, whereas the south portion of Ricardo Ranch is a low-lying native grassland area adjacent to the Bow River to the south. An escarpment separates the north and south portions of the Ricardo Ranch ASP area. A ravine system provides a unique natural amenity along the south portion of the plan area. Ricardo Ranch was the name of the ranch in this area owned by Senator Patrick Burns, businessperson and co-founder of the Calgary Stampede. The ranch was named for its former owner, William Crawley Ricardo. What is an Area Structure Plan (ASP)? Refine and implement The City’s broad planning objectives and policies of the Municipal Development Plan and other policies by promoting logical, compatible and sustainable development. Guide and direct the specific land use, subdivision and development decisions that collectively determine the form that the plan area will take. These development decisions include the provision of land uses, essential services and facilities, transportation systems, population, jobs and densities, and the sequence of development. 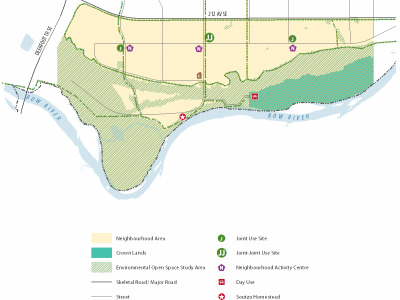 In June 2018, The City was collecting input into the proposed land use concept ideas and future vision for the Ricardo Ranch area. This feedback opportunity is now closed. A What We Heard Report summarizing the comments received can be found here. These maps outline the general allowable land uses in a specific area. Click on each image to expand to a larger version and inform your answers to the below. Neighbourhood Activity Centres located along proposed central spine street. Neighbourhood Activity Centres adjacent to Joint Use Sites. Day Use area proposed within Crown Lands. escarpment. Not adjacent to Neighbourhood Activity Centre. One access road into potentially developable lands in the lower bench lands. Escarpment road proposed in western portion of plan area only. Neighbourhood Activity Centres located at edge of escarpment. Neighbourhood Activity Centres not adjacent to Joint Use Sites. Community Association site located central to the community at the edge of the escarpment, adjacent to Neighbourhood Activity Centre. 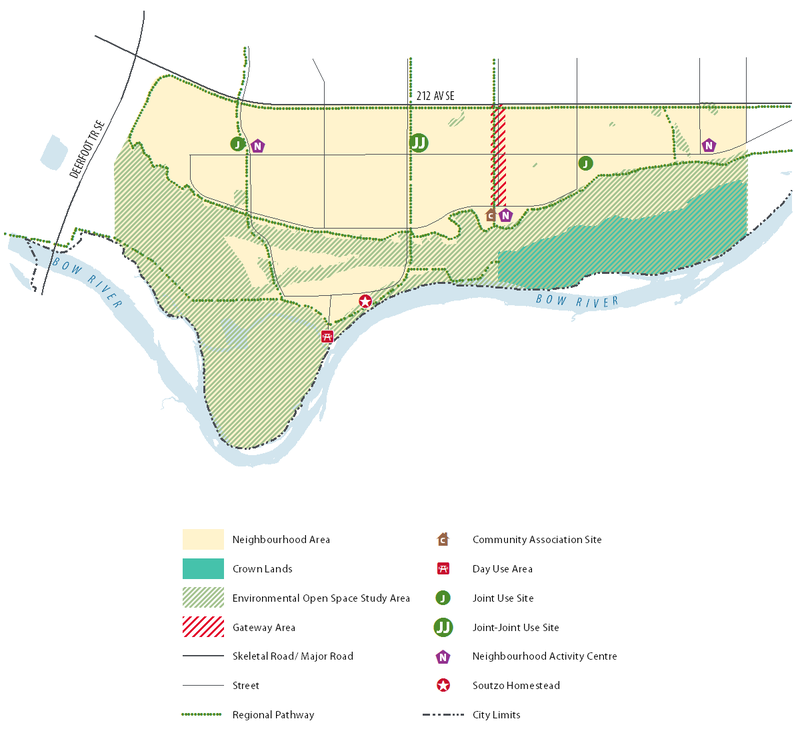 Two access roads into potentially developable lands in the lower bench lands. Community Retail Centre located near Neighbourhood Activity Centre. Neighbourhood Activity Centres located at along central spine road and along escarpment. Only 1 Neighbourhood Activity Centre adjacent to Joint Use Sites. 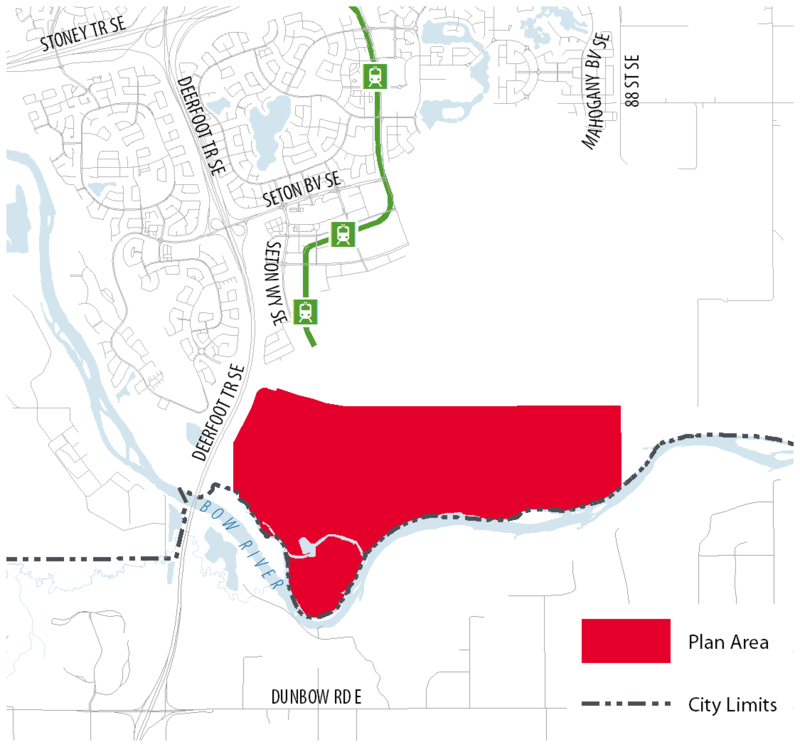 Day Use area proposed at confluence of Bow River and Oxbow. Community Association site at edge of escarpment, adjacent to Neighbourhood Activity Centre. No access roads into potentially developable lands in the lower bench lands. Escarpment road proposed along majority of escarpment. Gateway area proposed (high quality, street-oriented corridor). 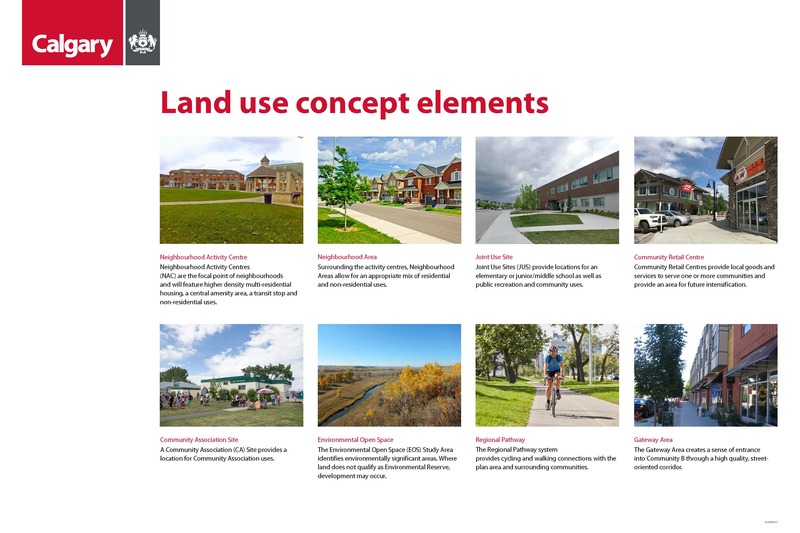 Please review the above information panels and the images of the proposed land use concepts to inform your answers to the below. What do you like about land use concept one? Please tell us why. How can land use concept one be improved? Are there any other ideas, questions or concerns that you would like to share about land use concept one? What do you like about land use concept two? Please tell us why. How can land use concept two be improved? Are there any other ideas, questions or concerns that you would to share about land use concept two? What do you like about land use concept three? Please tell us why. How can land use concept three be improved? Are there any other ideas, questions or concerns you would like to share about land use concept three? Are there any other ideas, questions or concerns you would like to share with The City about this project? What worked for you about the feedback opportunities provided? Is there anything we could do differently to make it better? Your input is being reviewed and The City will consider your feedback as we draft the new ASP policy document. We will share a draft of the new area structure plan in the coming months. 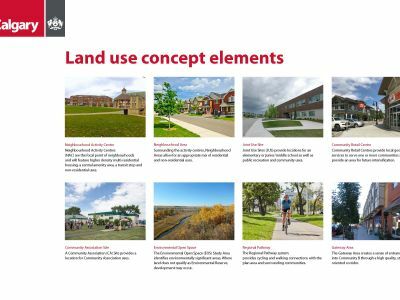 All feedback collected throughout the engagement program is also summarized and included in the final report to Calgary Planning Commission and City Council. To stay connected to the project, please sign-up for the Ricardo Ranch ASP email list.